I honestly can’t believe it has been over a month since I started Yours Truly, Katrina – it feels like it was just yesterday I clicked “Publish” for the very first time. Since then, I’ve learned so much in a short period of time, and I’m also going to be making some tiny little changes within the next few days! 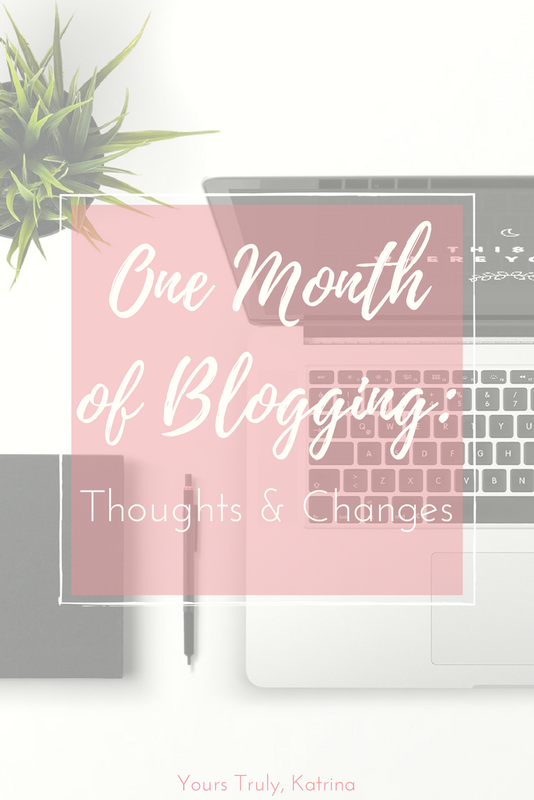 I’d been dreaming about starting a blog for months (maybe even years), prior to taking the plunge and buying my first domain, but I was afraid to take the leap. 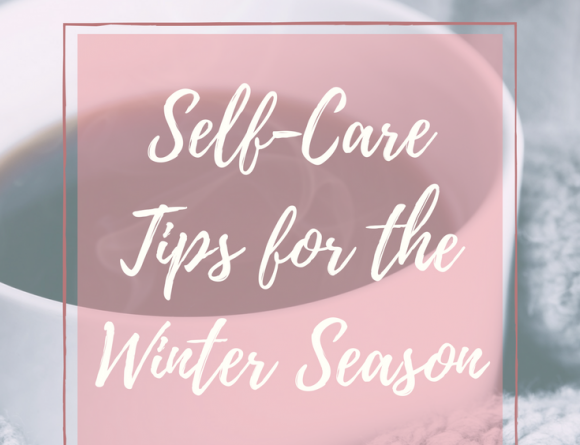 I was scared that I would let this little project fall to the wayside once school and work kicked in, and I wanted to give my blog everything I possibly could. Instead of pushing it off as I normally would, though, as part of my New Year’s Resolutions I decided that I would make maintaining my blog a priority in my life. I thought that writing would be a good way to release some of the tension and stress of my day-to-day life, and therefore was worth carving out time in my schedule even if I was busy. If it became to be too much, I decided that I would just adapt and evolve as I went along. Your blog is supposed to grow with you, right? In that aspect, I was 100% right – this blog has grown quite a lot in such a small amount of time. Although my views and visitors are not quite nearly as robust as I’d like them to be, I think I am in a good place. My main focus is getting content up for all of you lovely people to read, and it has been an absolute pleasure this past month. I’ve loved sharing my content on the Facebook & Pinterest groups and through Twitter, and it has been so amazing connecting with other college bloggers. I love writing posts about beauty, college lifestyle, and career tips, but I have found that I am definitely not as strong in some topics as I am in others. I have learned that putting up content of the quality I aspire to maintain requires me to branch out from my comfort zone and experiment with new things, an outcome I never would have anticipated. Over the past month, I’ve found myself to be more vocal and “risky” in my approach to nearly everything I do, from makeup looks to attending events at school. Though I can’t entirely attribute this change to my blog, I like to think that providing an outlet for my voice has allowed a confidence to bleed into my other daily activities. I’m working to become more knowledgeable in the areas that I want to write about, so that I might be able to pass along that information to you. Ultimately, the goal is to bring something valuable to you, the reader, and I hope that my prior content has been reflective of that goal. In regards to social media, I have encountered a few minor bumps in the road in that department. I love my personal Instagram, but I have found that mixing my personal social media with my blog’s social media has not only been confusing, but kind of stressful. I didn’t want to upset my followers that didn’t care about my blog, but I also didn’t want to avoid promoting my content altogether. 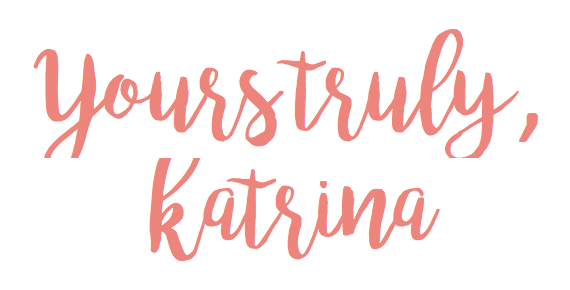 As a result, I have decided to open a separate Instagram for Yours Truly, Katrina! 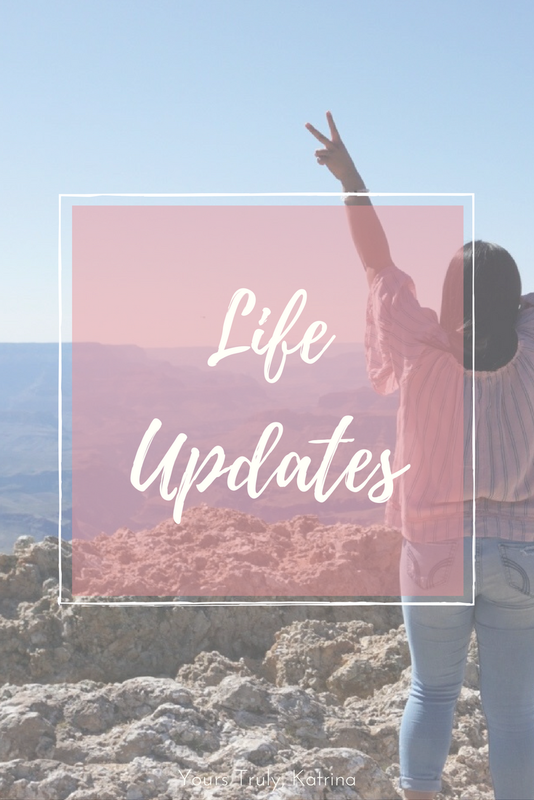 Now, this might not sound quite as exciting to you, but I am very excited to finally post content from my blog onto social media without fear of ridicule or labeling as “annoying”. You can follow my new Instagram account here! All in all, my experience blogging for this past month has been nothing but wonderful – it is so therapeutic and fun to write about the things I love, and my worries about letting this blog fall apart are long gone. You can definitely expect more college/career related stuff in the future, a couple more beauty posts, plus some pretty exciting things in the #STEMBabes series. 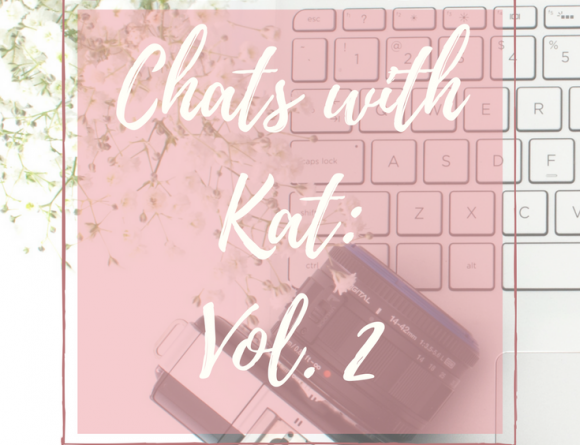 Please let me know if there is anything else you would like to see – I love reading others’ opinions, and I know that critiques will help me produce stronger content. To everyone who has been reading this past month – thank you. You have no idea how much it means to me to see a new comment or view pop up on my post – I feel more driven to make content for you lovely people! To all my new readers – I hope you stick around, because the best is yet to come!